Nikola Tesla first envisioned a wireless power transmission system in the early 1890s; he even attempted to build an experimental station, Wardenclyffe Tower, which he hoped would be the first in a worldwide wireless system. Today, phones, smartwatches, and other devices sometimes come with inductive charging coils, which let them charge wirelessly through resonant inductive coupling. But this method relies on direct contact between the device and a charging pad—hardly the untethered future Tesla imagined. That's where Energous and Ossia come in. Both focus on developing “true” wireless charging that works over the air (OTA) so you can power up at a distance. This is the wireless charging we were promised over a century ago. Could our dependence on cables or tethered charging solutions finally be coming to an end? 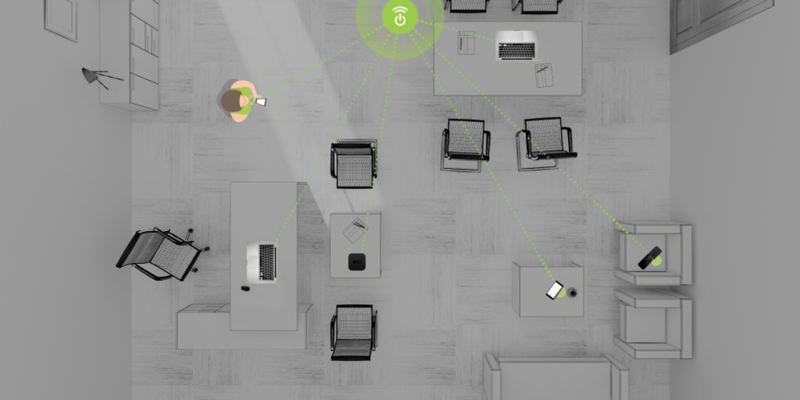 The Energous wireless charging technology works with the company's proprietary WattUp transmitter and receiver. It operates similarly to Wi-Fi by transmitting power in the 900 MHz frequency to the receiver, which converts the RF signal into DC power. Energous uses beamforming for the mid-field and far-field transmitters: a directional antenna array sends energy directly to the receiver. In the case of obstacles, it can reflect energy beams off walls and ceilings, although this results in some efficiency loss. With the widespread adoption of WattUp transmitters, you'd be able to go to a coffee shop and even travel without having to carry adapters or cables: various transmitters in public and private spaces would top up your various devices as you need them and according to your usage patterns. This company’s tech is a little more exciting than Energous’s. 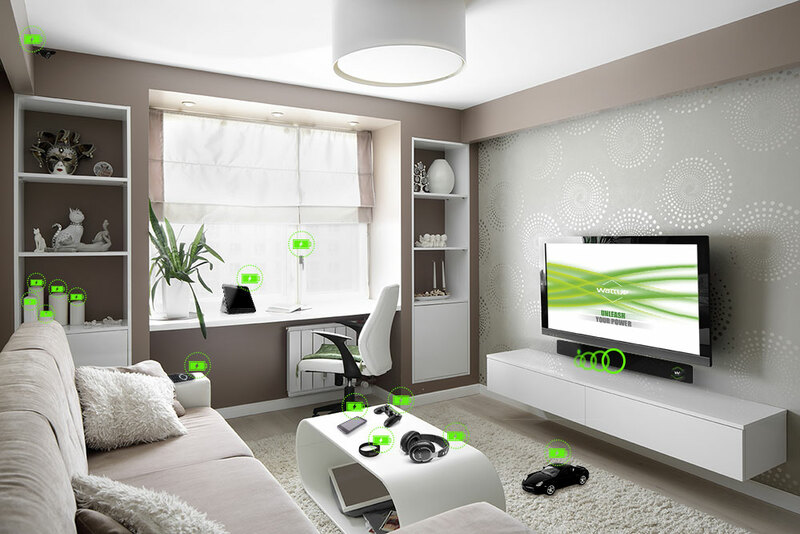 As with Energous, the company's technology is similar to Wi-Fi and uses the 2.4 GHz spectrum (it's considering the 5.8 GHz spectrum for the future) under its proprietary Cota standard. Ossia's receiver sends a low-power beacon signal to the Cota Power Transmitter. The transmitter then directs power along the same pathway, with the receiver converting the RF signal to DC power. That allows Ossia's transmitter to send power to multiple Cota-enabled devices simultaneously and to send power to objects in motion. It also effectively bypasses objects that are in the way, since the signal doesn't pass through people, animals, or other organic matter. 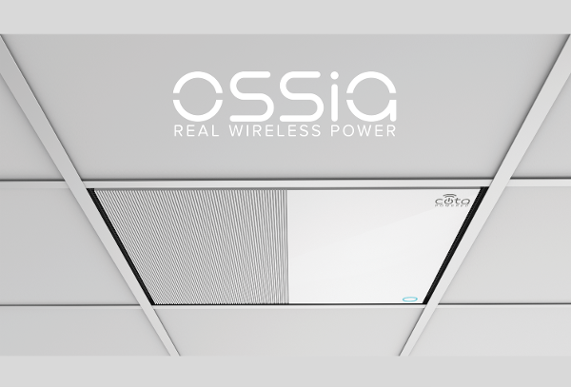 Ossia’s Cota technology is the first to uniquely realize Tesla’s vision of a wireless power solution that can power multiple devices at a distance, efficiently, and safely, all without requiring line-of-sight. They think of Cota technology as working like Wi-Fi: convenient, safe, and secure. The company is proud to openly demonstrate their technology at public conferences and partner facilities all over the world. Their two major examples of their technology can be found in their Cota Forever Battery and Cota Tile. Think of all the batteries your home or business uses on a daily basis: remote controls, product scanners, factory floor tools, smoke alarms, carbon monoxide detectors, handheld devices, smartphones, cameras, thermostats, etc. The list of battery-operated devices is endless. Moreover, batteries are expensive, have a finite life, and are difficult to swap out and dispose of. 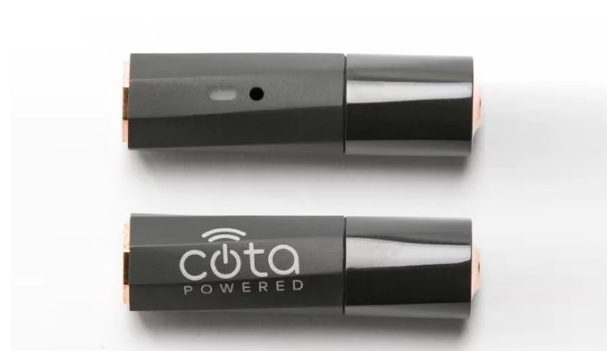 Ossia built (and won awards for) the first Cota Forever Battery in the form factor of a AA battery in order to reap all the benefits of a traditional battery, without all of its costs and hassles. Replacing traditional batteries with the Cota Forever Batteries transforms your existing battery-operated device into one that never runs out. I would certainly appreciate not having my smoke alarm going off at 3 am in the morning again due to dead batteries, and I’m sure my gamer friends don’t appreciate it when their Xbox controllers suddenly die while they’re playing. 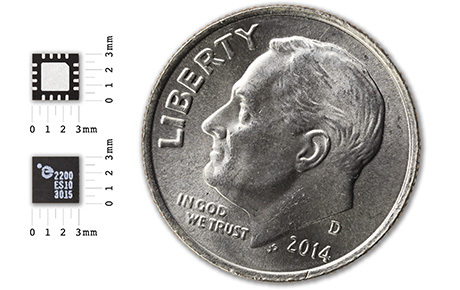 A minuscule receiver embedded in a device pings the power transmitter (Cota Tile) at 100Hz. Which means that it sends out a message 100 times each second. Almost instantly, it then sends a data packet to the Tile enlisting its current charge status. The transmitter consists of thousands of omnidirectional antennas that beam RF waves over 2.8GHz, so they are safe and won’t interfere with Bluetooth and WiFi signals. The signal is transmitted in the direction of the transceiver with sub-millimeter accuracy. The RF signal is rectified to DC power by the embedded receiver. The Cota Tile is able to power a variety of devices in a room because it doesn't have to operate on line of sight. A pair of Cota Tiles are twice as efficient and emit four times the power of a single Cota Tile. So in a warehouse, for example, numerous Cota Tiles can join together to power hundreds or thousands of compatible devices. Battery technology doesn’t advance as quickly as the devices we rely on them to power, so the ability of the WattUp far-field transmitter and the Cota Tile to transmit data along with power makes them particularly compelling for the Internet of Things. Essentially, both the WattUp transmitters and Cota Tile take the burden from the user in deciding what device to charge and when, and take it on themselves. It's as close to a seamless, cable-free existence as you can get. Assuming widespread implementation in public spaces such as coffee shops and office buildings, the endless scramble for chargers, cables, and portable batteries could become a thing of the past. In the future, you would go into a coffee shop, if it has the Cota logo, and you know your phone has Cota, that means you'll get power when you're in the coffee shop. Personally, I cannot wait. What do you think about never having to worry about low battery warnings? Let us know on Facebook or Twitter. We look forward to hearing from you.